Arthritis is a complex family of musculoskeletal disorders consisting of more than 100 different diseases or conditions that can affect people of all ages, races and genders. 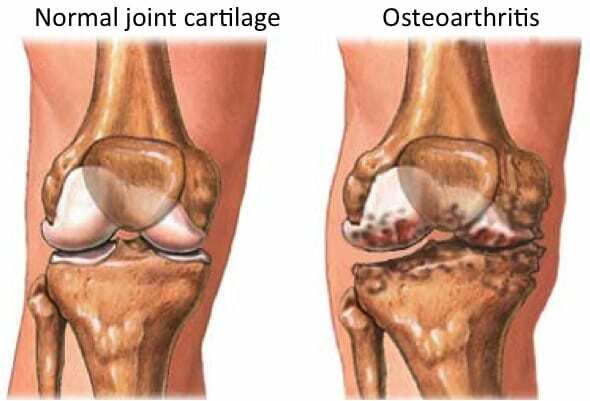 Osteoarthritis (OA), the most common form of arthritis, is a progressive degenerative joint disease characterized by the breakdown of joint cartilage associated with risk factors, such as overweight/obesity, history of joint injury and age. OA is the primary cause of disability in the United States. Rheumatoid Arthritis (RA), a systemic disease characterized by the inflammation of the membranes lining the joint, causes pain, stiffness, warmth, swelling and sometimes severe joint damage. Read more about rheumatoid arthritis.